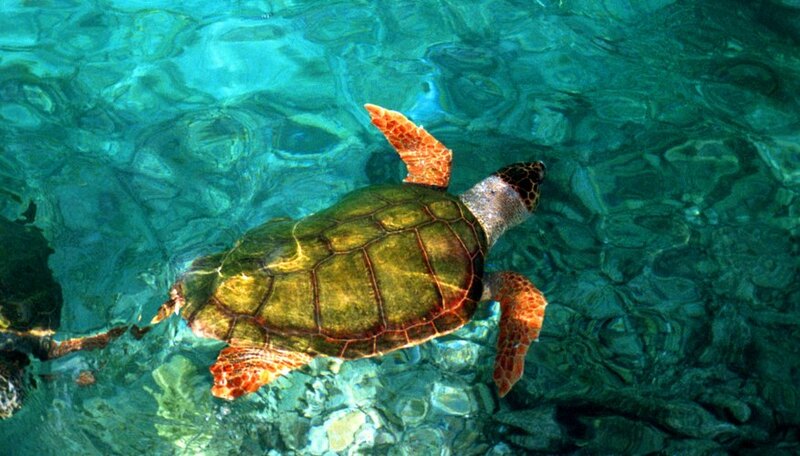 Sea turtles can sleep on the surface of the water when far out on the ocean deeps; they wedge themselves under overhanging rocks or coral outcroppings to rest in shallow water. They need only a few seconds at the surface to replenish their lungs. After that quick breath, they return under the surface. While sleeping, their metabolic rate slows, enabling them to more efficiently use oxygen which allows them to remain submerged for several hours before again needing to surface for air. Painted turtles bury themselves in sand or mud at the bottom of a pond to sleep, absorbing oxygen from the water. Their slow metabolic rate, combined with the composition of their shell, allows these turtles to survive trapped underwater for months at a time. Semi-aquatics, such as the map turtle, may dig themselves partially or completely into a marshy area of grass or moss. In most northern areas, snapping turtles hibernate from October through April, alone or in groups. 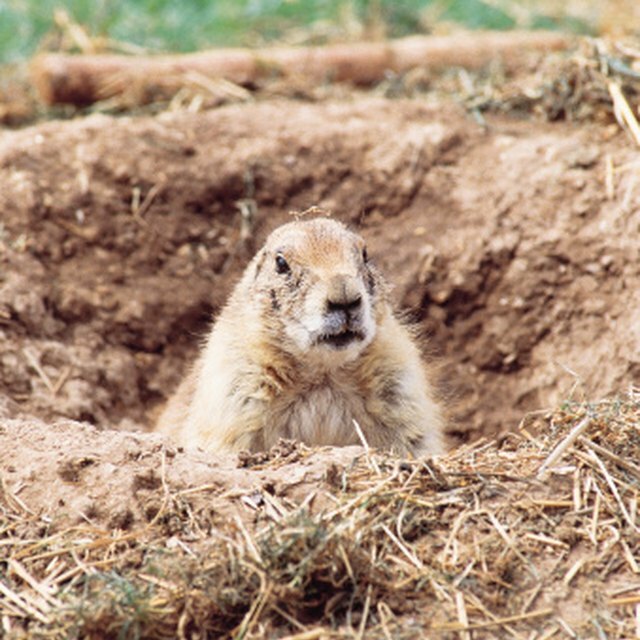 They burrow in mud, in muskrat tunnels, under submerged logs or debris or in shallow water. Most box turtle species live where they need to hibernate through the winter. Hibernation is a form of deep sleep from which the animal cannot be awakened easily. All of its bodily processes slow down; it does not eat when no food is available and needs less warmth. This enables it to stay alive until spring, as long as a predator does not find and eat it while it's immobilized. In the wild, these turtles seek out protected spaces in soft ground or under roots of trees, above the water table. Weak and underweight turtles or those who emerge from hibernation too soon may not survive. In the Southwestern United States, the endangered desert tortoise hibernates during the coldest part of the winter in an underground den; it comes out to warm up on mild, sunny days. They are active when the temperature is between 65 to 105 degrees Fahrenheit. During the hot summer months, these tortoises emerge from their burrows early in the day and spend the hottest times of day inactive underground. The giant tortoises of the Galapagos and Seychelle Islands do not need to hibernate, but they do sleep during the cooler nights and often up to 18 hours a day, moving around only when they get warm enough. The giant Aldabra Tortoises wallow in mud to protect themselves from mosquitoes and are known to sleep up to 18 hours a day. Adams, Martha. "How Do Turtles Sleep?" Sciencing, https://sciencing.com/do-turtles-sleep-8746747.html. 05 April 2018.